Happy Thanksgiving everyone! Our Black Friday Drop/Special is now available in the online shop. - The first 5 people to use code “Doorbust” at checkout will receive 35% off their order, a free hat, can cooler (coozie), silicone wristband, and our brand new sticker packs! - All other orders can use code “BlackFriday2018” at checkout for 30% off their entire purchase! - EVERY order will come with a free silicone wristband and sticker pack! - Orders of $50 and up will get a free silicone wristband, sticker pack, and coozie! - Orders of $100 and up will receive all of the above plus a free hat! Brand new snapbacks are available along with restocks on select style hats! Limited supply in stock. 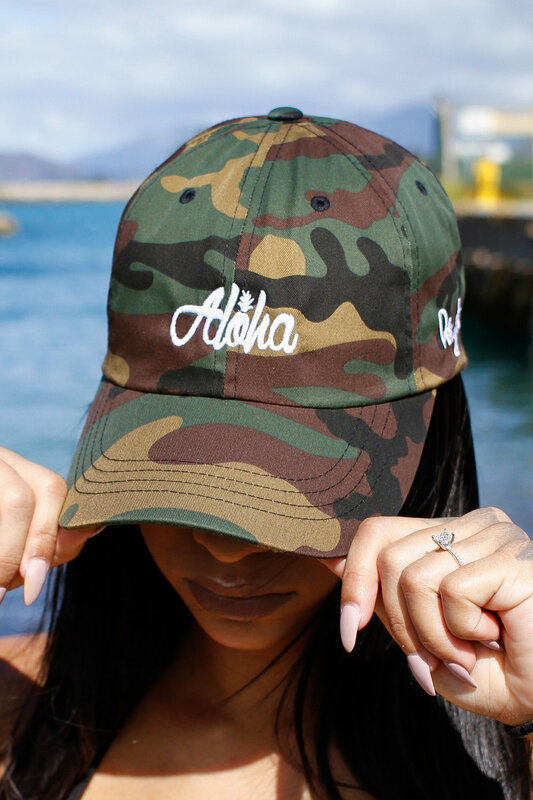 Back by popular demand, our “Aloha Pine Dad Hats” have been restocked in Camo, Mint, and Black. It’s been a while since we’ve released some hoodies! Get your “Aloha Hawai’i Nei” Hoodies today in the shop while we have sizes available. Other styles of hoodies have also been released as well!